Keeping track of our food while we are trying to lose weight is one of those things that will make most people let out a big sigh. It feels annoying, frustrating and time consuming – but research shows that those who are successful at losing weight using some sort of written diary or food tracker will lose weight twice as quickly as those who don’t! For me when I think of it like that – I think I would prefer to get to where I’m going that much quicker, as taking twice as long would be more annoying and frustrating than actually getting the job done properly in the first place. I think the thing to ask yourself also – is why (or how) you got to the stage you are at with your weight now? There IS a reason, and one of those big reasons is our amazing ability to completely underestimate the amount we are eating and overestimating the amount of activity we do! Me: So…..how often do you exercise? Joe: Ooh yeah a fair bit – I do okay I suppose……not too bad I don’t think anyway. Me: What would you say isn’t too bad? Me: Is that every day? Joe: Well not at the moment, I started them a few weeks ago but probably need to start doing them again. Me: Do you do any other type of exercise? Joe: Oh yeah, yeah I do. I walk to work every day and back again. Me: Brilliant – how long would you say that takes? Joe: Well – from the bus to work, and then work back to the bus again is probably about 10 minutes each time. Oh and I also walk out to get lunch too. Me: Any other kind of activity after work or weekends etc? Joe: Just the usual walking around with the missus shopping and stuff. That’s about it………you’re probably going to tell me I should be doing more ha ha. Me: And what about food Joe? How do you plan your foods and choices etc. Joe: This is where I don’t understand. I admit I have the odd takeaway and that, but I think I eat quite healthy…….probably……..well most of the time anyway. Me: Do you know how many calories a day you would eat Joe? Joe: Urm – well, as I say, I don’t think I’m too bad like, so it can’t be that much. In terms of overeating and underestimating this again is a common problem. I hear all the time “I don’t understand why I’m overweight, I really don’t eat very much at all”. For a lot of people (including me myself before I lost the weight) this can actually be true, and really it comes down to food choices. Making a poor choice without even realizing it, you could be loading your body up with calories and fat – but on the surface of it be eating a very small portion, which is not at all filling. 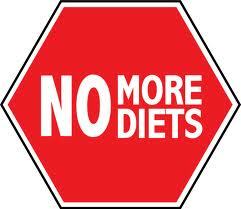 You spend the day feeling hungry and feel you must be going to lose weight – but then it just doesn’t budge. As I said this normally is to do with food choices, and really just not being completely aware of the calorific and fat value of the foods you are eating. Just as a small example – in a well-known coffee shop chain a large latte and chocolate muffin is around 900 calories!!!! If you have a daily allowance of 1400 calories you could see how easily you would go over without actually being satisfied. You may feel like you’ve not eaten very much in the whole day, lets say also that you grab a sandwich for your lunch from the supermarket…….OOPS – the majority of sandwiches I picked up in Tesco the other day had a MINIMUM of around 400 calories! Most of them however were between 500 and 600 calories. Between your lunch and that quick coffee and muffin you are already OVER your daily allowance, and that assumes you have also eaten nothing for breakfast, and are not going to eat anything for dinner! Based on this coffee, muffin and sandwich you WILL BE HUNGRY! You will also have not eaten that much in terms of the size of the meals, or number of bites you have physically taken. But in reality – you have still taken in a whole days worth calories! This is where tracking can and is very useful. I’ve also heard people say “oh I eat very healthy, I’ve tried everything and nothing works for me, oh noooo I don’t really weigh or measure anything – I know how much things are by looking at them”. I suppose my thoughts on this are – unless you actually physically measure everything HOW do you know with 100% certainty that you are eating what you think you are? If you were driving down the road and somebody asked you what speed were you doing what would you do?? Yes – you would look at your speedometer! A guess might be pretty close, but would you be able to say the exact speed you were going without looking? Probably not! The same goes for your food – if you don’t track you really can’t say for sure. Have you seen the programme secret eaters? If not it is WELL worth the watch – this really demonstrates exactly what I am talking about here in relation to what we “think” we are eating and what we actually ARE eating! 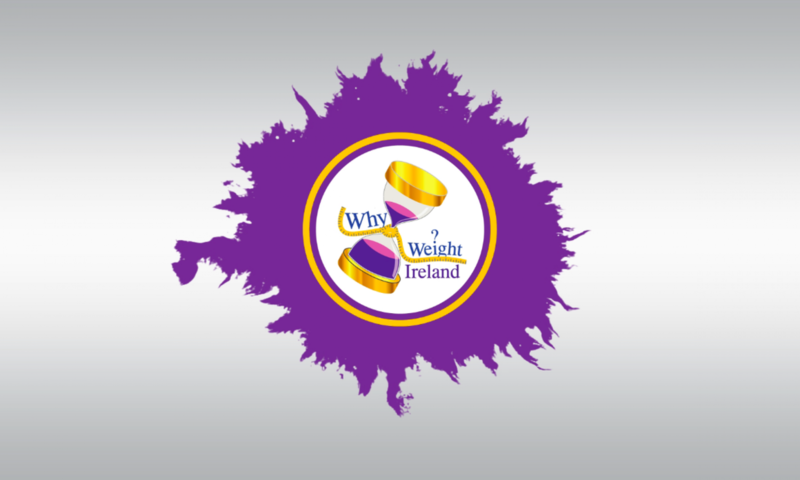 Information from the creators of the Why Weight Ireland food diary found that “Keeping a food diary is an approach used by nutrition professionals and doctors when helping people to managed their health through their diet. The reason that food diaries are so effective for weight loss, is that by recording everything you eat and drink, it helps focus you on how much you are eating and what types of foods. Relying on memory is not as reliable as you might think! 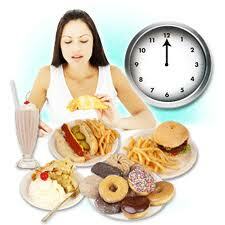 Typically people underestimate what they’ve eaten in a day by roughly one third. It’s very easy to forget the little snacks you eat on the go that don’t constitute a ‘meal’, or the mayo on your salad – but all those calories can soon add up. A food diary will help you control your portions, realise what you eat and understand why you eat. It will give you a basis from which to make changes. The information you record will show which foods are contributing the most calories and fat to your diet, so you can spot where you can make a few important changes that will have a big effect. For example, one of Mr. Blog’s friend’s drank 8 mugs of tea every day with milk and 2 teaspoons of sugar. At 50 calories per mug, this was adding up to 400 calories per day! Simply cutting out the sugar was enough to save 250 calories – a small but significant change. The food diary approach is about empowering you to take control of your own diet. By understanding more about what are eating, you can start to re-educate your eating habits to not only lose weight, but importantly to keep it off. So I guess to sum up – Yes keeping a diary can be annoying, frustrating and appear time consuming…BUT, what we all want is a change for good. Keeping a diary while you make the changes to your habits and your lifestyle will really highlight to you where you weight gain issues have arisen from. By discovering the better choices you can make the changes that will stick for good – helping you to enjoy food again, and actually eat more (as in take many, many, more bites in a day than before) but actually eat less (in terms of calories and fat). TOTAL = 1,416 – less calories, more food and still getting some treats in there too!